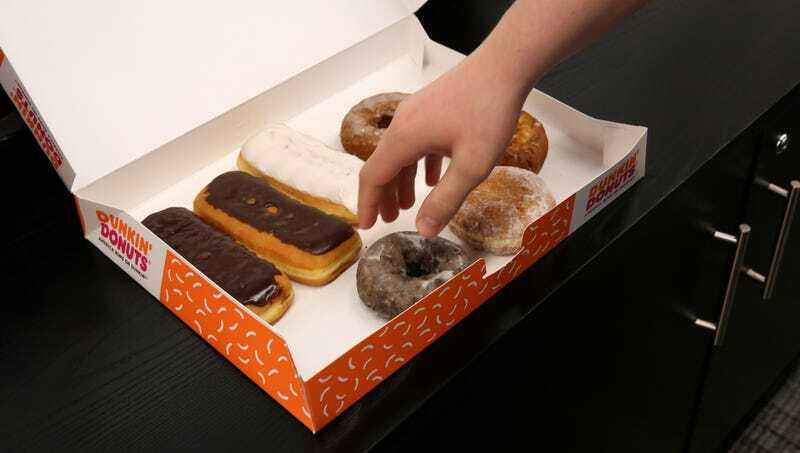 ROCHESTER, MN—Planning, conducting, and publishing the entire study while hovering over a box of freshly baked pastries, hurried researchers at the Mayo Clinic released new findings on Tuesday confirming that old-fashioned donuts were a healthier option than Bavarian Cream varieties. “Yes, definitely, we conclude that a classic donut is, in fact, better for you,” said the study’s lead author Dr. Paul Lawton, moving his hand over both styles of donut and determining that the non-filled one had 5 percent fewer calories and maybe even more nutrients due to the light dusting of cinnamon on top. “In addition, you know, there’s a hole in the middle, so that surely means it has less saturated fat. And the chocolate in the batter is a superfood, so there might actually be some positive benefits to consuming it.” Moments later, researchers released a follow-up study showing there actually wasn’t much of a difference so you could probably have both.